Do Sports Braces Help Prevent Injury? Because we see so many active people here at SSOR, we are asked on a daily basis if braces are necessary to prevent injury or reduce the risk of recurrent injuries. Braces can certainly help, but they are definitely not a requirement for participation in competitive or recreational activities. So what’s the verdict on ankle, knee, and shoulder braces? Do Ankle Braces Prevent Injury? Prevent More From Happening? There are many benefits to ankle braces. The most significant benefit is that they can be taken anywhere and be used throughout a competitive season. Plus, in the absence of a certified athletic trainer, athletes may not be able to get their ankles taped. Having a brace handy helps make sure they have some support. They can be re-tightened if they loosen up over the course of a game, and the more an athlete uses them, the brace eventually molds to the athlete’s foot. The research has shown that ankle braces can help prevent the recurrence of ankle sprains and not having external support is a risk factor for an ankle sprain, according to a recent clinical practice guideline in the Journal of Orthopedic and Sports Physical Therapy. So, for athletes with a history of sprains, they’re not a bad idea. Whether or not they prevent initial sprains is still ambiguous in the literature. The bottom line: lace up. Braces are an inexpensive intervention that may help prevent some lost time. Do Knee Braces Prevent Knee Injuries? One of the more hotly contested topics in sports medicine is the use of knee braces. Most knee braces are stability braces either after an ACL injury or an MCL injury. Many people wear braces after they’ve had these injuries to prevent future ones from happening. Truthfully, the data on ACL braces shows that they really aren’t necessary and don’t matter much as far as preventing future injury to the knee. Some research has shown that they may prevent injury at low, predictable loads which, for most sports, isn’t practical. Some research has shown that they may help athletes with ACL deficiency in their knee. However, there is a significant mental aspect to brace use in that “something’s there” to protect the knee. Therefore, ACL braces should be used if the athlete feels it helps them, but should not be used because they will prevent an injury. 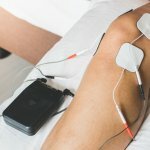 If it’s an athlete recovering from an ACL reconstruction, hopefully their rehab was good and they are able to perform confidently and effectively without one. Regarding using knee braces for MCL (medial collateral ligament) injury, one study in the American Journal of Sports Medicine in 2005 found that they actually did help reduce the incidence of sprains in braced athletes. Many big-time collegiate programs brace both knees in all their linemen to reduce injuries but under high loads, braces can fail. More research is needed on whether or not there is a statistically significant reduction in knee injuries with prophylactic knee bracing. The bottom line: it’s not a bad idea to wear a knee brace in an ACL-deficient knee, after an MCL injury, or if the athlete feels they need it. Do Shoulder Braces Prevent Dislocations? Much like the knee and ankle, shoulder braces for athletes with a history of dislocations and subluxations may reduce the risk of injury, but at the same time may reduce the athlete’s ability to move their arm. Therefore, in athletes that need to reach overhead routinely like wide receivers, defensive backs, baseball players, and volleyball players to name a few, a brace may inhibit performance. However, in other contact athletes like rugby players or linemen in American football, braces aren’t a bad idea. The brace of choice should be based on the athlete’s comfort in using them as well as how their arm functions with it on. Unfortunately, few studies in the literature have explored the efficacy of shoulder stabilizing braces. The “take home message” regarding the use of braces is basically that the athlete should not have a false sense of security that wearing one will prevent injuries from happening. They may reduce the recurrence of injury, but no definitive conclusions have been made about this. If anything, they may provide the athlete with some security knowing that they have some extra support for a vulnerable joint. Brace use should be on an individual basis. 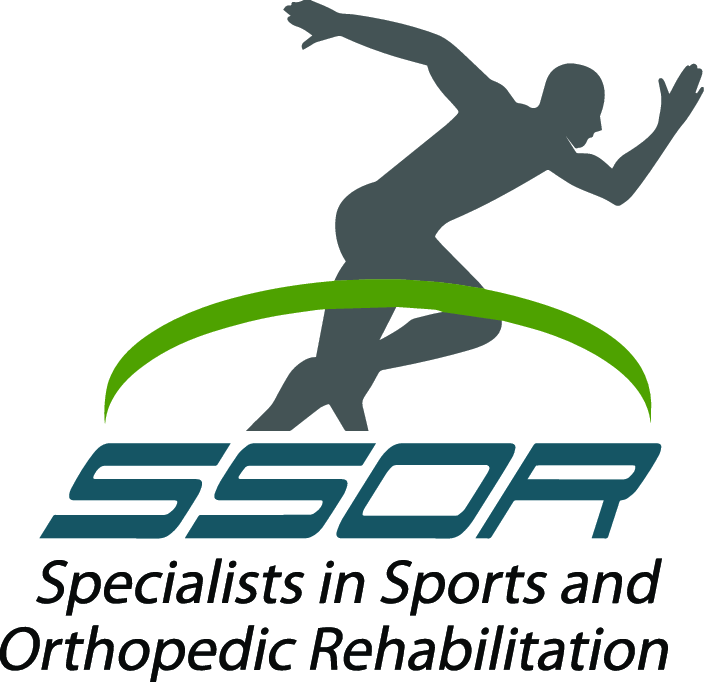 If you have a sports injury, the sports physical therapists at SSOR are experts at not only evaluating and rehabilitating your sports injury, but also helping you reduce the risk of recurrent injuries. Please give us a call, it would be a privilege to serve you.